Reconstruction of the historic building in the Centre of the city has given it not only a new life, but also an exclusive décor. Classic-style elements, wall mural paintings, stair railings have made the entrance area exquisite, light and unique. Due to this, the mood of the house as a whole has been created. 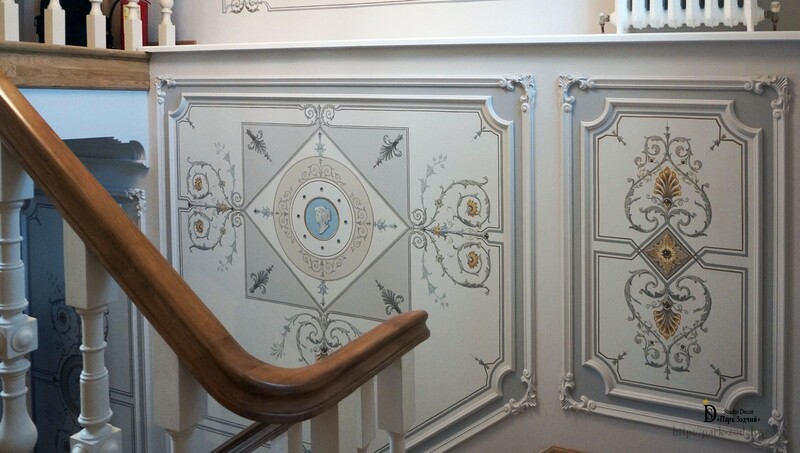 The décor of the stairs has become a unifying thread around the mansion. Mansions with century-old history have long-lived traditions of decoration. Houses are like living creatures. 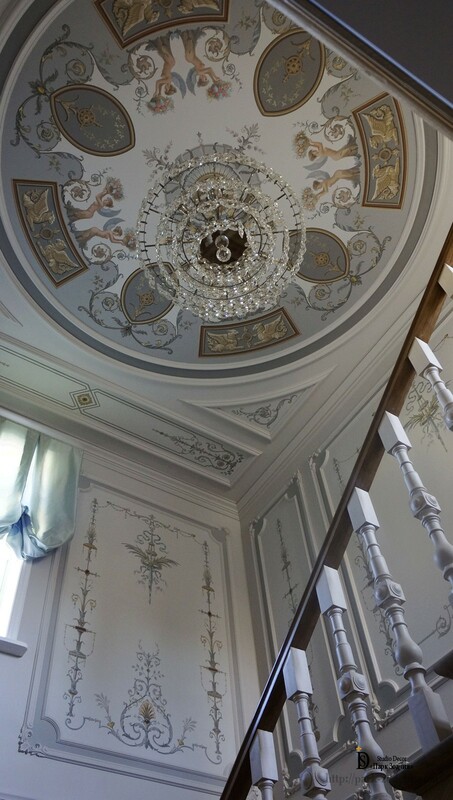 It is not possible to paint the panels in an old building in blue color, whitewash the ceiling and think that it will endure. Perhaps, we exaggerate, but nevertheless: the external environment affects the lives of the inhabitants of the house. 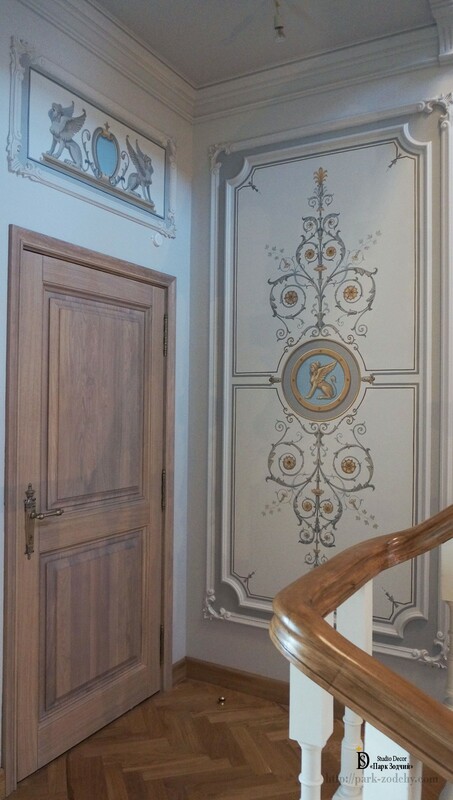 Therefore, for decoration of the grand staircase we have chosen sophisticated timeless classic. Monochrome decor, ornamental grisaille painting have made the common room refined and unique. The walls are very light-colored, divided into fields, framed with fine stucco moldings. Mural paintings in calm tones are a complement for home, but not the main accent. They accentuate the status. Even so, they do not dominate. 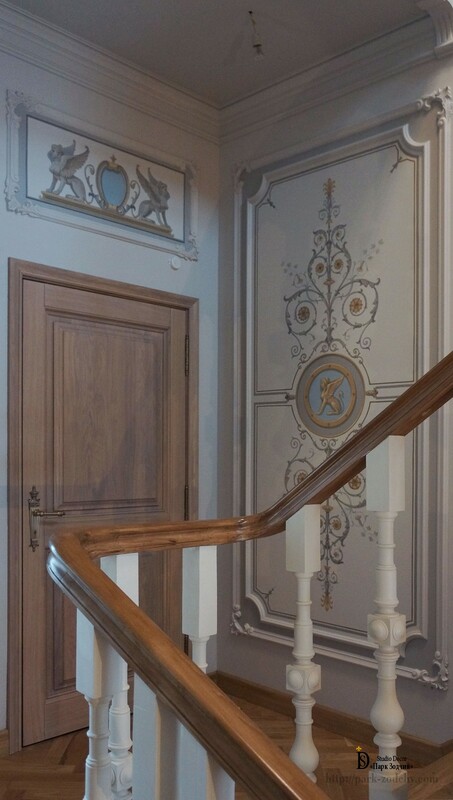 Staircase in mansions is often decorated by forged elements being complex in form and content. In our case, we have decided that it would be redundant, since public premises must set the rhythm, to be in fact the prelude, not the dominant element of the house. Minimum of stucco moldings, complex ornamental mural painting with griffins have made the entrance area in front of the ceremonial apartments solemn and strict at the same time. Concise, concrete walls and large gable windows of modern high-rises apartment buildings strikingly differ from this Interior. For someone the decoration may seem too eye-striking and pompous. But the designers have not overloaded the Interior. There are no heavyweight gilded molded parts, expensive marble steps, artsy forged elements. 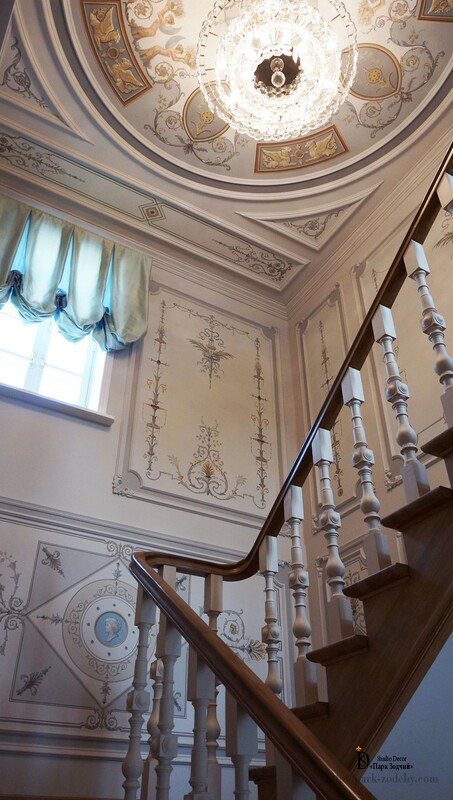 Lightness is emphasized by the ornamental ceiling mural paintings in the Empire style on the top floor. The task has been completed: the staircase looks harmonious and status. 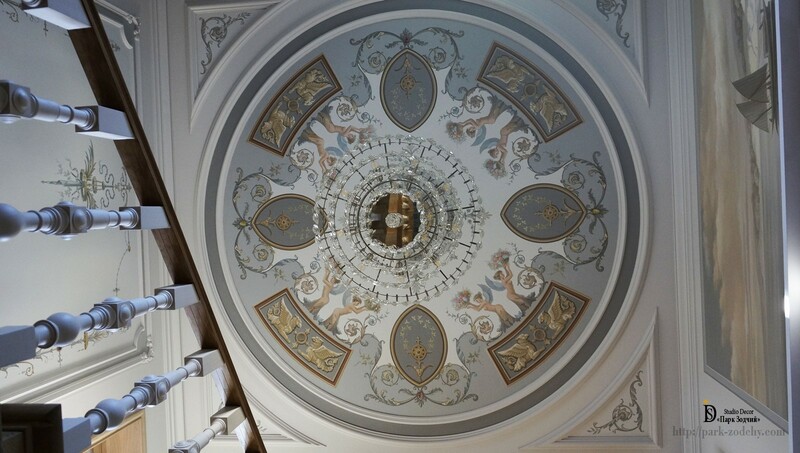 Uniform coloring of the ceiling plafond and panoramic murals has allowed changing proportions, extending walls, raising the ceiling, making it weightless, as if soaring in the sky.